Spelt it wrong didnt i? Would the Boyd Orr / Glasgow Uni maths buildings also be included. I like it and a few people I know like it. The "Get Carter" car park in Gateshead is being dismantled as we type.The most famous piece of Brutalist Architecture in Britain? I love the Barbican. Brutalism generally seems to have few fans, and it's taken years for me to succumb to its charms. I've a wee theory that much of the long-lived anger against brutalism comes from the knowledge that so much was demolished to make room for many of these creations; they are the tall poppies of the post-war 'comprehensive redevelopment' fad, the whipping boys for that era's excesses. As much as I hate admitting it, at least that architectural style's got an honesty about it, unlike the randomly-fenestrated, criminally unimaginative blue glass and sandstone pish that's currently infiltrating our cities. 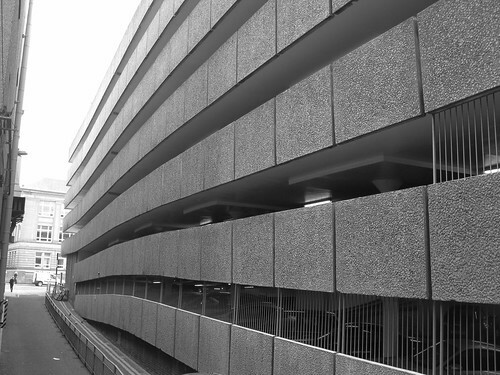 One thing though: brutalism isn't necessarily the same as modernism? I also think that brutalism gets the flak for a lot of the other things that were/are wrong with these buildings but are nothing to do with brutalism per se. There's no style of architecture that really benefits from being shoddily thrown up with no nearby amenities, then neglected for forty years. Cowboy builders. Bane of my life. They give the trade a bad name. "They're in demand at the moment and think of all that work they're stacking up for us... "
I'd rather they weren't there in the first place. "51 Whitevale Street and 109 Bluevale Street are apart from the Barbican the tallest public housing project ever built in the United Kingdom." 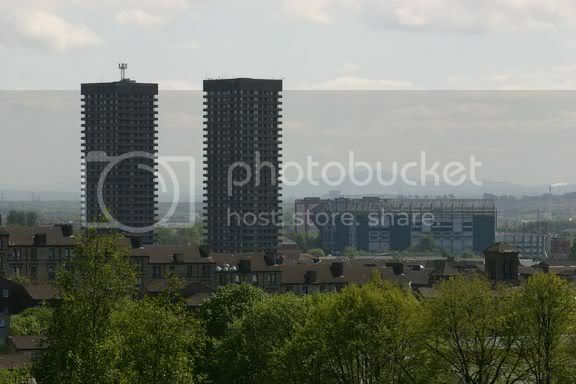 I wasn't aware that the Gallowgate towers were due to come down in the near future. I thought they were earmarked for refurbishment so that they'd continue to about 2025 or thereabouts, like they've done on Caledonia Road opposite the Southern Necropolis. You need to head out to Cumbernauld town centre to see the real thing...shuttering marks on all the concrete surfaces, the odd juxtaposition of angles to demonstrate the properties of the medium, strip windows caryying round corners and so forth. The massive forms of the college alone are worth the trip, but the huge overhanging gun enplacement based doorway into Sacred Heart has to be seen by any fan of the genre, the windows are stepped back like pillboxes on the Normandy coast! Add in the brutalist concrete sculptures dotted about and you've got a day out. PS. Some of the architecture listed here so far isn't truly Brutalist to my eyes...modernist surely, shoddy often but not brutal - just system built. 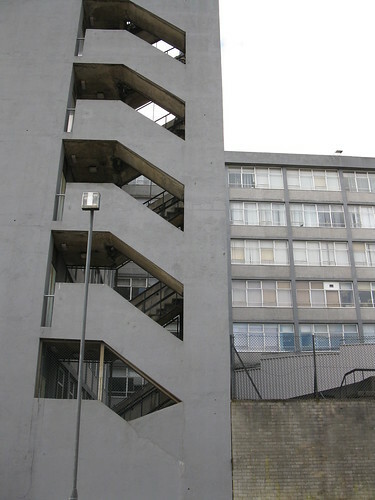 In Glasgow I can think of only the Basil Spence designed Queen Elizabeth flats in the Gorbals and the Anderson Centre. I'm sure there's others that I cannae remember though. There's nothing to compare to Copcotts Brutalist masterpiece at any rate.